A portrait of the Spanish explorer, Ruy Lopez de Villalobos, was presented as a gift to the Philippines by the Foro para la paz en el Mediteraneo, an organization based in Malaga and composed of maritime experts and national security forces working to study and maintain stability in the Mediterranean region, on 12 February 2018 at the Hall of Mirrors of the City Hall of Malaga. 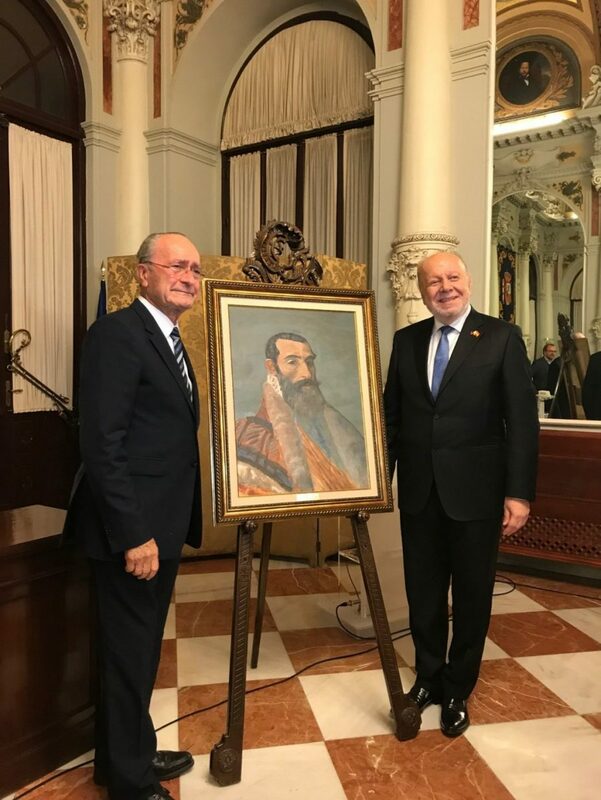 The President of the Foro and Mayor of Malaga, Mr. Francisco De La Torre Prados, formally handed the portrait to Philippine Ambassador Philippe Lhuillier at a ceremony hosted by the City of Malaga at the Hall of Mirrors of its City Hall on 12 February 2018. The portrait, done by the locally-acclaimed Malagueño painter of maritime themes, Vicente Gomez Naves, is a copy of Lopez de Villalobos’ portrait at the Hall of Mirrors alongside other celebrated natives of Malaga. To Filipinos, Ruy Lopez de Villalobos is significant for having given the name “Las Islas Filipinas” to the Philippine archipelago in 1543. The Spanish territory were then called Islas de Poniente and Islas de San Lazaro. 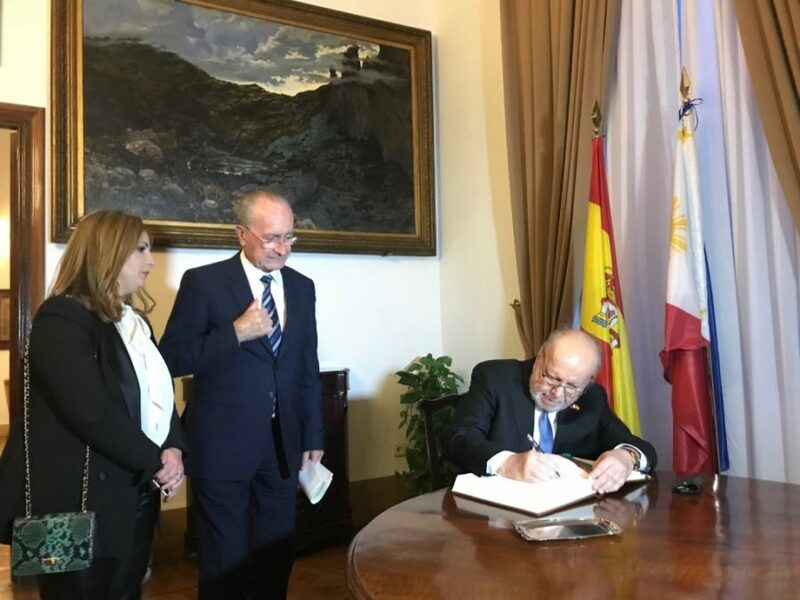 Mayor Francisco De La Torre spoke of Malaga’s pride as the hometown of the great Spanish explorer and one of the first Spaniards to have forged a connection with the Philippines. The Ambassador also noted the increased arrivals of Spaniards to the Philippines and the recent research findings by the Spanish retail giant El Corte Ingles stating that Filipino tourists spend more than 2,000 euros while on vacation in Spain—the highest amount spent by tourists to the country. He highlighted the massive economic and social benefits to be gained by both countries in continuing to find ways to increase people-to-people exchanges, which is expected to be raised by the imminent signing of the Air Transport Agreement.